Description: Classic elegance combined with a rich distinctive look comes to life with a stunning lantern design that will entice anyone, from the lighting novice to the experienced connoisseur. 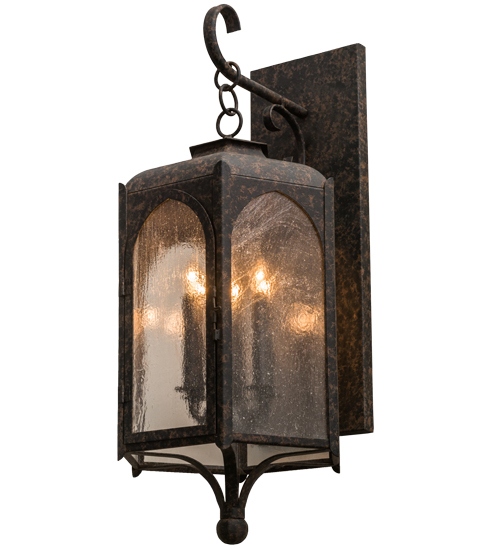 The exquisite Clear Seeded Glass lantern, designed with a six-light candelabra, is enhanced with a frame, scrolled accents and hardware featured in a Coffee Bean finish. The fixture is custom crafted in the USA. Custom styles, designs, colors and dimmable energy efficient lamping options are available. The fixture is UL and cUL listed.